Maluuba, that's what I'm talking about! Clean Master, is just that and more. Well, now that Android 4.2 and the new Nexus devices have been announced, Google is also giving its users a nice update to a very useful app: Google Search! 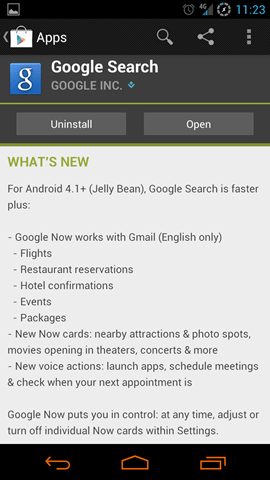 The update gives you access to the new Google Now features. 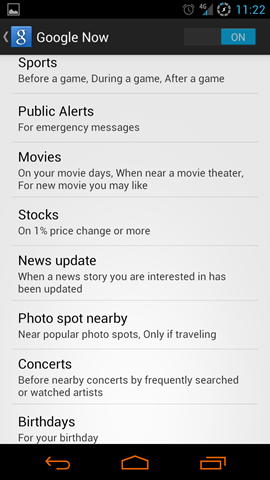 feature is the ability to see articles about things that you have previously searched for. 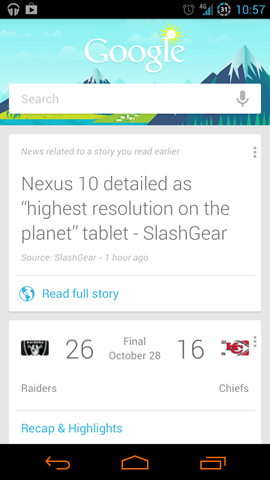 For example, I was on a website about the Nexus 10, and Google Now found me an article about the Nexus 10. Pretty cool. Something strange that I noticed in the Google Now update was the fact that Google gave the option for “Birthdays” which only has the option for “your birthday”. Because I guess you need a reminder for your birthday? Overall, I love the update for Google Now. It seems quicker and it’s really responsive. Before, I had to wait a little bit before the keyboard popped up when pressing the search bar. Now it’s almost instantaneous. I’m really excited to use these new features and see what Google Now finds around me. Go to the Play Store to update your Google Search if you haven’t already. The new update is really cool, and it should hold me over for a bit until 4.2 gets released. My name Christina.I am 21 years old and I was born and raised in California. I love technology. My current daily drivers are my Nexus 4, my Nexus 7 and my HP Ultrabook. When I'm not checking out current Android news, I'm working part time at Best Buy as a mobile sales representative. I'm currently going to school for IT and I look forward to what the growing world of mobile technology has to offer. I'm constantly on Google+ and Twitter, so if you want to get in touch with me, those would be the best places to go.